There are plenty of benefits from being self-employed including having a typically high degree of independence. And no doubt many employees would gladly join their ranks – if they could run a profitable and personally-satisfying business. Yet being self-employed is obviously not all beer and skittles, as the cliché goes. 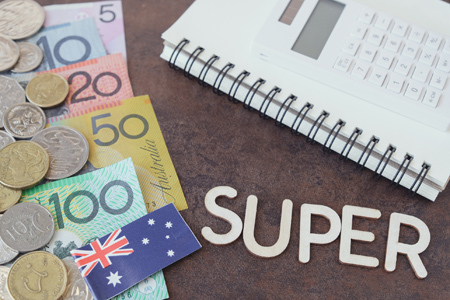 From a financial perspective, one of the common downsides is that most of the self-employed have little or no super, according to research over several years by the Association of Superannuation Funds of Australia (ASFA). This means that millions of the self-employed, working on a full or part-time basis, are missing out in terms of super savings. In a recent discussion paper*, ASFA quotes tax office statistics showing that owner-managers of unincorporated small businesses (as their main job) accounted for less than 4 per cent of the $122 billion in total super contributions during 2014-15. This is despite the fact that these owner-managers of small businesses numbered 1.2 million, or 10 per cent of our total employed and self-employed workforce, according to the ABS. And other ABS figures suggest that millions more individuals are doing some form of independent work. As Smart Investing discussed earlier in What the gig economy may mean for your super, superannuation guarantee (SG) contributions are not paid for the self-employed or independent contractors. And the self-employed themselves are not obliged to make super contributions. Employers are, of course, legally required to pay compulsory super contributions to their employees, again whether working full or part-time (with an exception for very low-income earners). Consider making tax-deductible contributions that are at least the equivalent of SG contributions you would have received if employed. The SG rate is 9.5 per cent for 2017-18. Ideally, begin making these voluntary contributions as early as possible in your working life so you won't be left behind. Don't overlook that most Australians with life insurance obtain that cover through the default cover of big super funds. This alone can provide a strong incentive for the self-employed to save in super. Know that the previous rule that you must not earn more than 10 per cent of your income from employment to claim deductions for personal contributions has been removed from 2017-18. Understand that employers are not obliged to make SG contributions for employees earning less than $450 a month. This means that employees making up their incomes doing a number of part-time jobs for different employers may fall below the threshold for each. If you have young adult children working in the gig economy, perhaps in a series of part-time jobs, consider talking to them about the benefits of making voluntary super contributions. What are you doing to make sure that you or members of your family don't miss out on super? * Superannuation and the changing nature of work, ASFA, September 2017.